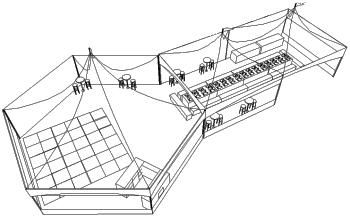 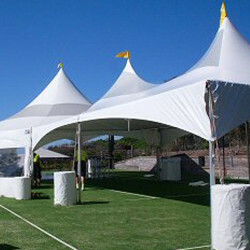 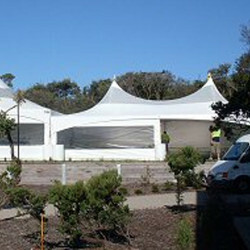 22.5m x 12m Twin Skylight structure on a tennis court, standing cocktail style wedding for 150 guests. 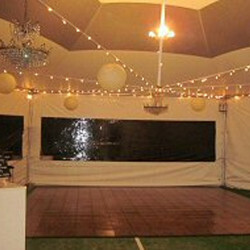 In the Hex module we installed a large Dance Floor, and full walk in High Bar. 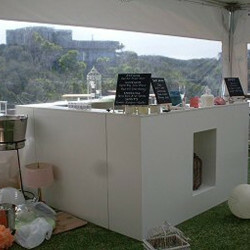 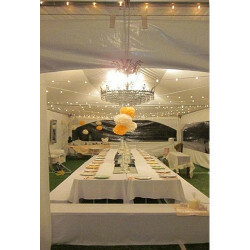 One long table down the centre of a section of Marquee allowed up to 40 guests to relax and enjoy the surroundings.